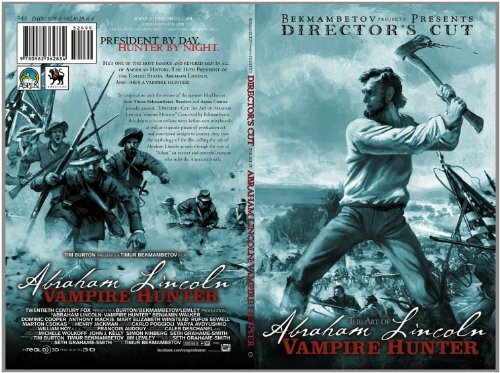 They should have titled this 'The Storyboard Art of Abraham Lincoln: Vampire Hunter' but that won't be accurate enough either. This book is a graphic novel made of storyboards from the film. The hardcover is even sized like a normal trade paperback. The movement arrows remain in some storyboards. Storyboards are also cut up to fit into comic panel shapes you typically see. There are no speech bubbles but the whole story is narrated. The story isn't too bad, at least it's complete. The art is rough as you can expect from a graphic novel. If you're an artist, maybe you can learn a thing or two about staging the scene. Overall, this book is a like a weirdly mixed cocktail. It's more of a graphic novel than artbook that's for sure. I wish publishers and authors would stop putting "Art of" in book titles when they clearly are not artbooks.